In this kids science project different types of angiosperms will be identified, specifically between the monocot and dicot seed. Students will be able to view the differences in size, color and shape of the two seed types. A monocot (monocotyledon) seed has a tiny embryo inside, but once the seed coat is removed the seed will not split in half to reveal the embryo. There is only one cotyledon that is very thick and does not store food. The food is stored right around the embryo in a monocot seed. A corn kernel is a perfect example of a monocot seed. A dicot seed has a tiny embryo inside, but it is tucked in between the two halves of the seed. Each half of the seed is referred to as a cotyledon, hence the name dicotyledon. The cotyledon is filled with food and nutrients for the embryo to develop. An example of a dicot seed is the lima bean. Take corn kernels and lima beans and soak them for 24 hours before starting this project in order to decrease the days of germination (3-6 days). Ask students to compare these two seeds and which they believe will sprout first. How many days do they think it will take to sprout? Place a paper towel in the Petri dish and add water until it is damp. Place the lima bean on the left side and the corn kernel on the right side of the dish. If you have a document camera, set it up and start time lapse recording to collect data. Observe the sprouts several times during the growth phase and note how the monocot and dicot differ. Prepare your documentation and report your findings. 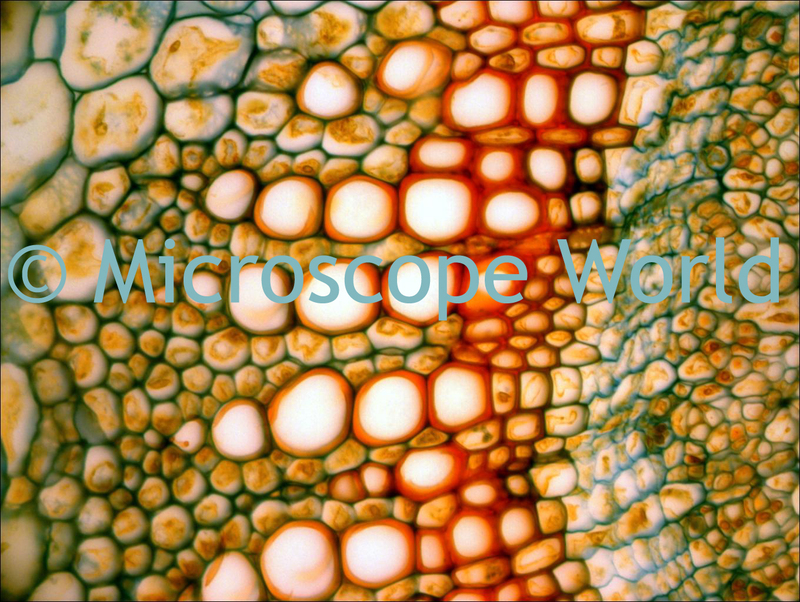 Dicot captured with the MW1-HD2 digital student microscope. 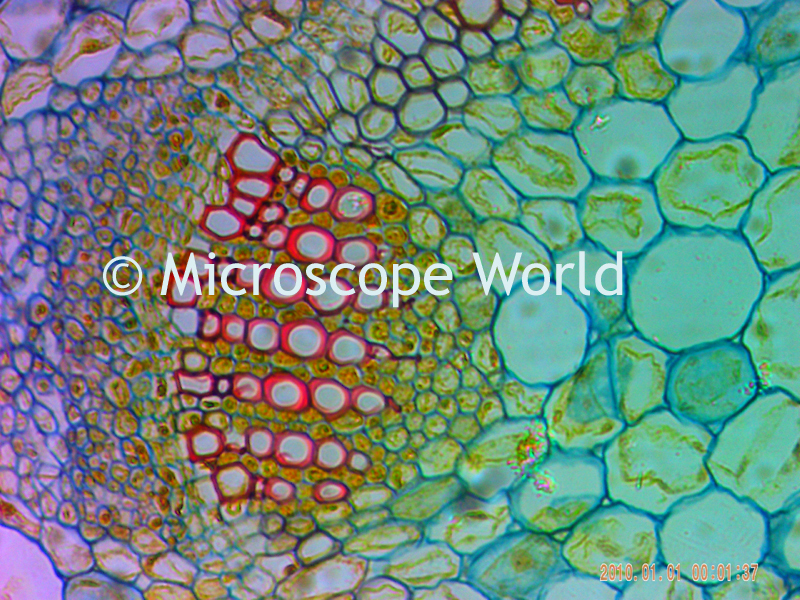 Monocot captured with the DCM2.1 microscope camera.